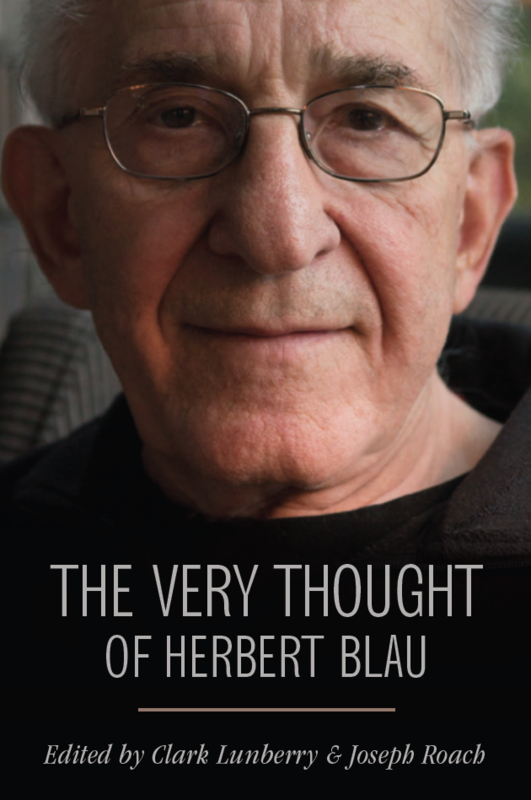 Herbert Blau (1926–2013) was the most influential theater theorist, practitioner, and educator of his generation. He was the leading American interpreter of the works of Samuel Beckett and as a director was instrumental in introducing works of the European avant-garde to American audiences. He was also one of the most far-reaching and thoughtful American theorists of theater and performance, and author of influential books such as The Dubious Spectacle, The Audience, and Take Up the Bodies: Theater at the Vanishing Point. In The Very Thought of Herbert Blau, distinguished artists and scholars offer reflections on what made Blau's contributions so visionary, transformative, and unforgettable, and why his ideas endure in both seminar rooms and studios. The contributors, including Lee Breuer, Sue-Ellen Case, Gautam Dasgupta, Elin Diamond, S. E. Gontarski, Linda Gregerson, Martin Harries, Bill Irwin, Julia Jarcho, Anthony Kubiak, Daniel Listoe, Clark Lunberry, Bonnie Marranca, Peggy Phelan, Joseph Roach, Richard Schechner, Morton Subotnick, Julie Taymor, and Gregory Whitehead, respond to Blau's fierce and polymorphous intellect, his relentless drive and determination, and his audacity, his authority, to think, as he frequently insisted, "at the very nerve ends of thought."